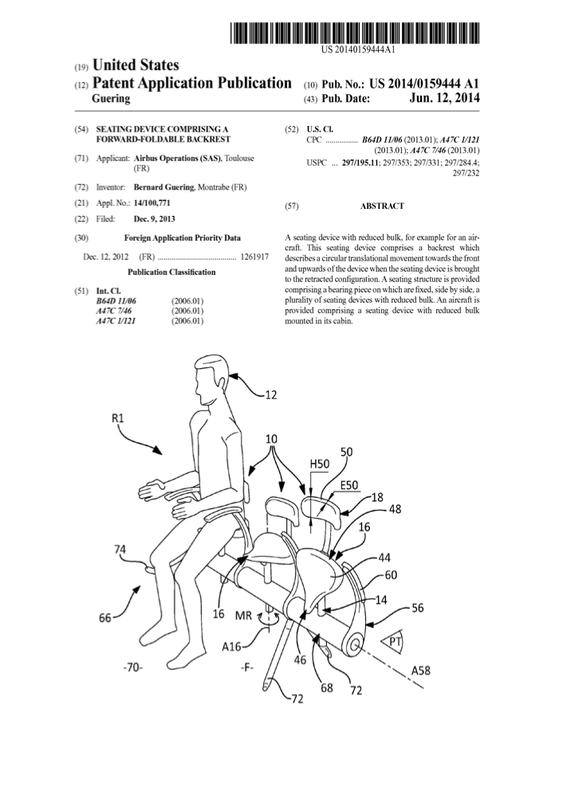 AirBus goes on to note that seating width is already at its minimum (particularly true given the increasing average heft of many passengers) and that it is not possible to further reduce seat width. As well, it is not possible to increase the number of seats by reducing the distance between two seats since leg room is already at an uncomfortably low level given that many passengers are somewhat over 5 feet 2 inches tall. 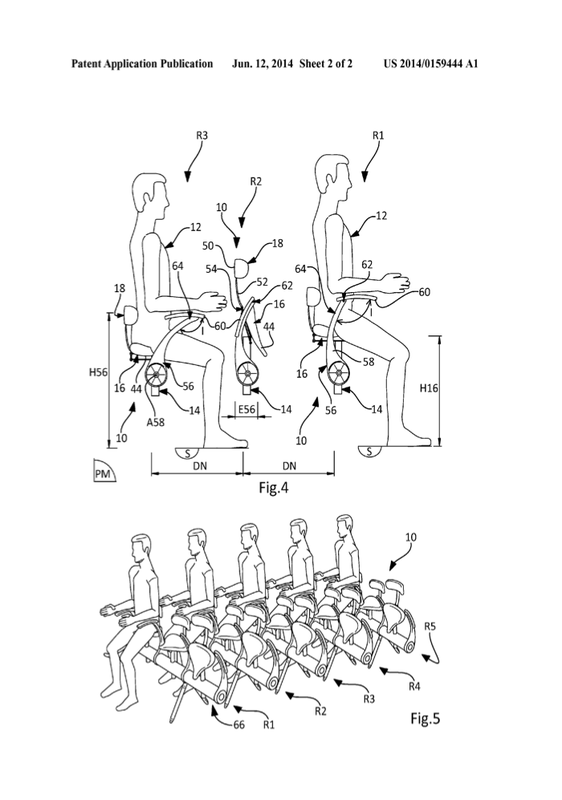 To that end, AirBus proposes to reduce the overall bulk of the seat itself. While this is a fine idea, with the increased seating density, the ability of passengers to access non-aisle seats from the aisle. 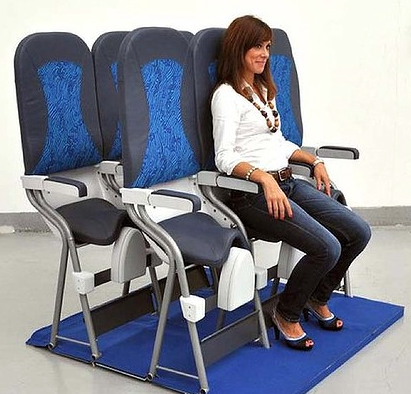 Once again, the wise minds at AirBus leap to the rescue and have created a seat with reduced bulk that retracts, allowing for wider access to non-aisle seats. It may just be me, but don't the AirBus seats make the Aviointerior seats with their 23 inches of leg room look like first class seating by comparison? As if flying weren't a miserable enough adventure already. Now that "few hours" could be spent in absolute misery.